If your provider requests your medical record they will fax the request to us at 719-486-7167. We will remit it to the provider directly free of charge. This is the best and most direct course of action for record delivery and is referred to as Continuation of Care. For questions about this service call St. Vincent Hospital Medical Records Department at 719-486-7157. Medical request forms are at the front desk of the hospital Click here to obtain a medical request form for continuation of care. Paciente para acceder a expedientes médicos. If you want your medical records for personal use please fill out a request form. 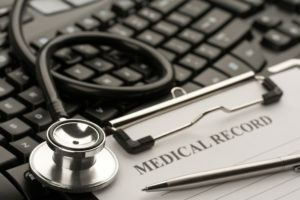 Medical request forms are at the front desk of the hospital click here to obtain a medical records request form for personal use. Divulgar la información médica protegida.We will need a copy of your driver’s license. The medical records staff will complete your request within ten days of receiving it. If you want the records picked up by someone other than yourself, please state the person’s name on the request form and supply a copy of that person’s driver’s license as well. Once the number of pages involved in completing your request is determined we will contact the telephone number on your request form and notify you of the price. Personal Medical Records can be mailed to you or picked up at our hospital. To respect your privacy, only medical records staff will give you records in person between 8 a.m.-4 p.m. Monday through Friday. When a person is applying for Disability there is a set rate of $19.00 for medical records with any amount of pages. Records requested for personal use will be prepared after payment is received.